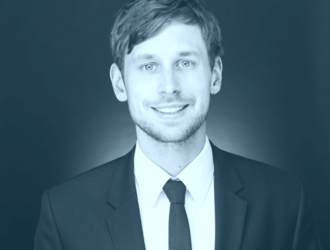 Mr Schenkel has studied economics and political science at the University of Münster. From 2013 to 2017, he worked at the Institute of Cooperative Research in Münster. His research focussed on the proportionality of banking regulation and its impact on cooperative banks. Currently, Mr Schenkel works for the Tax Transfer Pricing team of EY in Düsseldorf. He is the winner of the 6th EACB Award for young researchers on co-operative banks. The global financial crises motivated regulators to completely overhaul the pillars of banking regulation in Europe. Public institutions such as the ECB are deeply convinced of the benefits of the new regulatory agenda. However, the effects of banking regulation are a very intensively discussed issue among smaller financial institutions, such as German cooperative banks. There is concern that an unproportional market intervention based on a “one-size-fits-all” approach threatens the competitiveness of regional banks that are less complex and not systemically relevant. The aim of this research was to holistically analyse the implications of the new European banking regulation rules on small and medium sized banks from a theoretical and empirical perspective. The paper intends to measure regulatory costs that occur within the German cooperative banking sector while complying with legal requirements for risk management, securities services, anti-money laundering rules and IT standards. The before mentioned requirements are examples for rules with minimum requirements that all banks need to comply with and that do not account particularly for a bank’s size. To measure the compliance costs, a survey analysis was conducted. It can be shown that the cost of compliance with the aforementioned regulations are not proportionally distributed as they vary with banking size. If this research outcome holds true for all regulations with minimum requirements, not just for the examined, the economies of scale caused by financial regulation could threaten the competitiveness of small and medium banks, so that they might become ”to small to survive”.